I thoroughly enjoy teaching instructors how to instruct skydiving. With my extensive military training background and years of instructional experience in both skydiving and the military, I have the experience needed to prepare candidates for success, regardless of the discipline they choose. Behind every successful man is a good woman telling him what to do. I like to think of myself as being a student of learning and one who loves to share doctrine and techniques with others. I started skydiving right after high school and immediately I was hooked. I never thought at that time that I would pursue a lifetime career in skydiving, but as life would have it I made my first civilian jump in 2002 and fell in love with skydiving all over again. I have always loved teaching. I take great pride in challenging myself, as well as everyone around me, to strive for improvement on every jump. I'm just addicted to the potential for efficiency. Skydiving became an opportunity to travel and experience the world. My passion for skydiving started when my first airplane ride was my first jump. I never thought my education in teaching children would apply so well to teaching skydivers, but I have come to find out that they share many similar qualities. 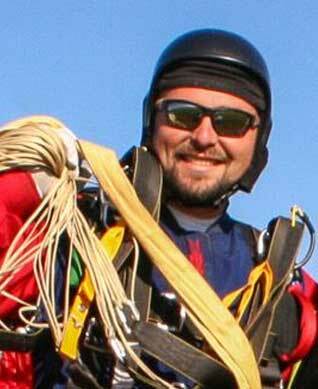 Michael has a profound passion for teaching within this sport and is enthusiastic and dedicated to maintaining a high standard in the AFF, Static Line, IAD, Tandem and Coach instructional programs. "I thoroughly enjoy teaching instructors how to instruct skydiving," he says poignantly. With hjis extensive military training background and years of instructional experience in both skydiving and the military, he has the experience needed to prepare candidates for success, regardless of the discipline they choose. As a successful businesswoman and entrepreneur, and one of the country's leading female skydivers, Jen Sharp is frequently invited to share the lessons and experience of skydiving and years in business, drawing analogies to the field and history of skydiving, in venues small and large, from summer children's program to municipal conferences to the state of Kansas Capitol building. Her expertise earned her the position of guest speaker multiple times for the National Dropzone Owner’s Conference as well as the International Parachute Industry Association Expo. She was also the keynote speaker for an audience of approximately 3,000 at the March 2015 Kansas Rural Water Association Conference. In addition, she often writes articles for skydiving and non-skydiving publications, regularly contributing to some, such as United States Parachute Association magazine Parachutist and the Kansas Rural Water Association magazine Lifeline. She also maintains a casual blog at jensharp.com. Teaching is her passion. Since earning her degree in Education, She taught in public schools and at the University level and still teaching private drum lessons to ages 3 to 85. 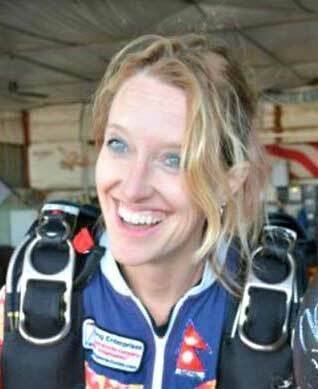 In October 1995, She opened Skydive Kansas, the longest running commercial dropzone in Kansas, located in Osage City, which is known nationally for its educational offerings. Her reputation and credentials as a skydiving instructor/examiner afford her opportunities to travel and teach seasoned instructors how to facilitate their own courses and perform duties of leadership in their own areas. Jen explains, "People ask me what I do, who am I? I reply, I'm a Plate Spinner...Not literally. Figuratively. I'm a mom, a skydiver, a drummer, a teacher, a student, a runner, a programmer, a writer, a closet standup comedian, a short order breakfast cook... my eclectic activities enrich my life and keep me busy. Still, my time is valuable but not saturated. (What do they say... if you want something done, ask a busy person?) I'm just addicted to the potential for efficiency." At 18 years old, she made her first jump November 11, 1989 and now has 5,000 skydives. From October 1995 to February 2017, she owned and operated Skydive Kansas, the longest running commercial dropzone in the state. She is an IERC Director since 2010, an Accelerated Freefall Instructor since 1997, Static line JM & I ratings since 1992 that are now expired, a Strong Tandem Instructor since 2004, Strong Tandem Examiner since 2009, USPA Coach Examiner since 2003, Safety & Training Advisor from 2003 - 2017; PRO rating since 1994; FAA Senior Rigger since 1995, Master Rigger since 2009. "In 2014, I had the humble pleasure of traveling to Nepal with the Everest Skydive Team as the first female tandem instructor to do tandems there," she recalls. In the non-skydiving scope, she holds a Bachelors in Education, an Associate in Computer Information Systems, and Masters in Business Administration. As she owned her own web programming company for 18 years, she's been able to work as a consultant in many arenas and industries. The unique combination of education, IT, and skydiving coupled with the necessity for safe efficiency as a DZO has honed her focus towards improving education in skydiving. Currently, she is employed by USPA as the Director of IT. 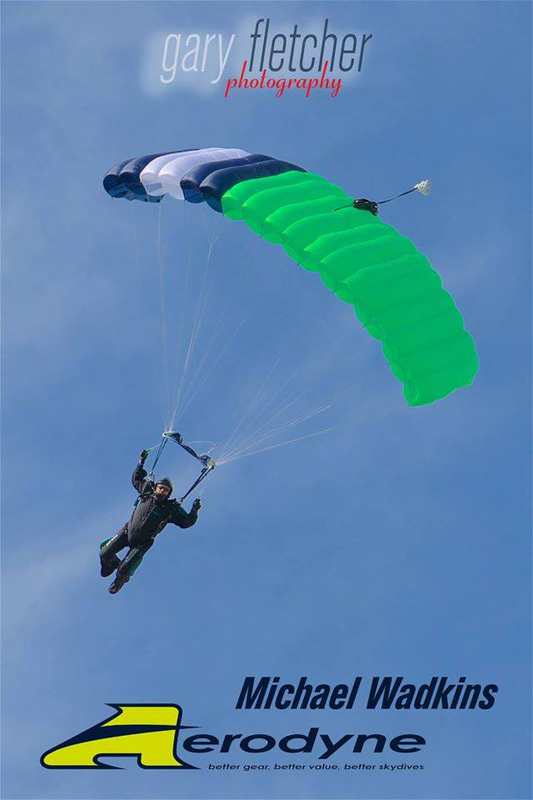 former Drop Zone Owner of 21 years – "Skydive Kansas"
A native of the Adirondack Mountains of Upstate New York and Colorado, Ray says his passion for skydiving started "when my first airplane ride was my first jump." A 21 year retired veteran of the US Army, Ray jumped from 1200 feet in Ft. Benning, GA in 1981 at the US Army Airborne School. After "Jump School" he continued his skydiving career in Girdwood, Alaska while being stationed at the Airborne Infantry Unit in Anchorage, Alaska. In 1983, he joined the US Army Special Forces and after graduating Special Forces was assigned to a Military Free Fall (HALO/HAHO) Team for 18 years. 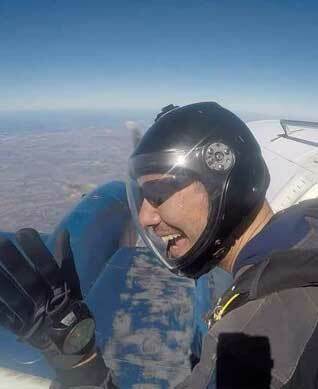 He continued to pursue his civilian skydiving career during his Military Service. He recalls, "My favorite Jump was a 32,000 foot High Altitude/High Opening (HAHO) over the countryside of Germany." 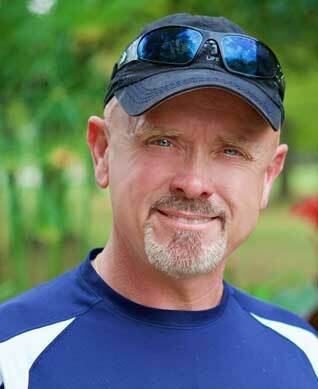 As a member of USPA for 30 years, he has accumulated over 14,000 jumps and earned many awards, wings and ratings. Over the years, he has competed on a 4 and 8 way team, a CRW team and the "Big Way" circuit but the most enjoyment he gets is from certifying new AFF, Tandem Instructors and Coaches. When time permits, he organizes "big ways" at boogies across the country. 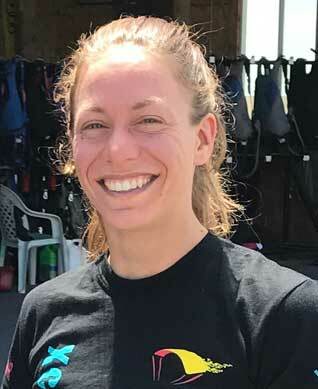 Lindsay Rich began skydiving in 2005 with the University of Connecticut skydiving club. With 25 jumps she was competing in her first year at collegiate nationals in 2-way, and the following year on their 4-way team. 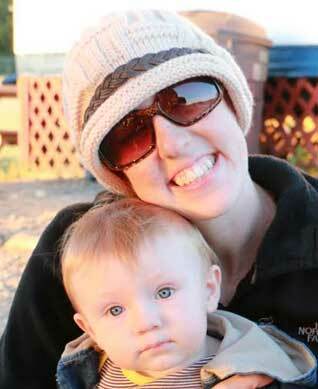 With packing parachutes being an excellent summer job in college, she began her career at the dz in 2006. It doesn’t take long to realize the real fun is in the sky so Lindsay became a Tandem Instructor and an AFF instructor shortly after in 2008 and 2009 respectively. "Skydiving became an opportunity to travel and experience the world so I took off to Texas that winter, found myself working in Australia after that and then eventually Utah and Malaysia." Traveling has broadened Lindsay's perspective of the sport and student training and she uses that perspective to inspire the effectiveness and efficiency of her student training programs which has brought her to be the director of the AFF program at her now home dz, Skydive Utah. 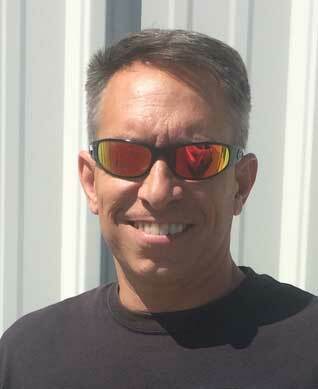 "I look forward to seeing the future of skydiving and to help being a part of the creation of that future. To create well informed and proficient skydivers." After graduating high school from St. Peters, Missouri, Noah enlisted in the Marine Corps where he served for 11 ½ years. His last duty station was Ft. Benning, GA where he became an Airborne School instructor. While working at Airborne School, he was the second Marine in history to be a part of the Fort Benning Command Expedition Parachute Team, The Silver Wings. This is where he started his career as a demonstration parachutist. 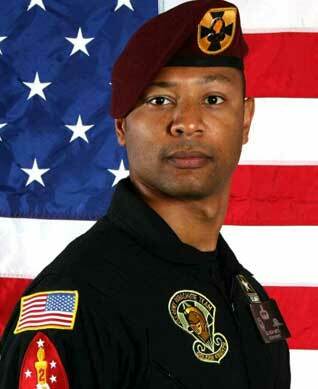 In 2007, he tried out for the U.S. Army Parachute Team, the Golden Knights. After passing their selection program as a Marine, he left the Marines and joined the Army and reported to the team on December 29, 2007 as a demonstrator for the Gold Team. During his GK career, he has been on both the Black and Gold Demonstration teams and is currently the Assistant Team Leader for the GK Tandem Section. As the head Examiner and Safety and Training Advisor for the team, Noah says, "I like to think of myself as being a student of learning and one who loves to share doctrine and techniques with others." His extensive and memorable demo jump experience includes venues such as the New York Yankee’s Stadium, St. Louis’s Bush Stadium, flying through the Gateway Arch, and landing onto the North Shore Beach of Chicago, Illinois. He has landed on a floating trampoline, and as Noah recalls, "the privilege of landing on the U.S.S. Battan, which so happened to be the ship I deployed on after 9/11." His most memorable tandem experiences have been in Nepal as part of the High Altitude Tandems for Everest Skydive, going with the U.S. Ambassador to France, Charles Rivkin during an anniversary of D-Day in Sainte-Mere- Eglise, France, and of course, "the excitement of taking my mom on a tandem." He has also taken TV personalities such as Kelly Pickler and Good Morning America’s Ginger Zee on tandems that aired on network television shows. 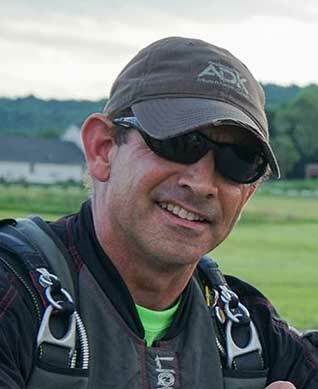 Noah's specialties include Tandem Instruction, Pro Rating and Canopy (accuracy) Control, Advanced Teaching Techniques, and Transitioning from Military Rating to a USPA equivalency. Mercedes is the lovely woman, whom candidates talk to in regards to coordinating fees, registering, scheduling and answering questions, and more. 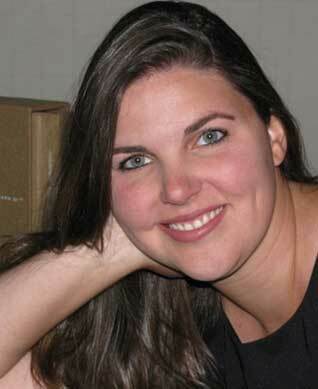 She is the driving force behind the scenes handling critical aspects of our business management. Don't you want these skydivers helping you with your goals? Skydive Instructor Ratings for the Professional, by the Xperts.